We’re now well into spring here in NYC and it’s finally actually feeling like it! The trees and the tulips are in bloom. People are coming out of their hiding places and letting their skin actually feel the sun. As a New Yorker, I especially love those spring moments when I am walking down a street, on an errand, or going to work, or going to meet someone—intently going about my densely packed, scheduled life—when, all of a sudden, I’ll have to stop in my tracks when I find myself under a majestic cherry or magnolia tree that seems to envelop me with its essence of life and beauty. 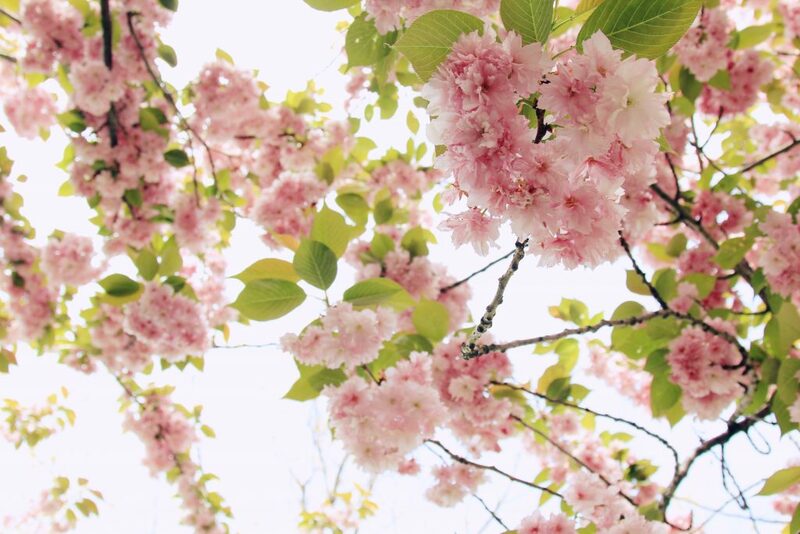 Spring is exciting from a traditional Chinese medicine perspective as well. According to TCM, spring relates to the liver and gallbladder and the element of wood. Accordingly, spring is a time of rebirth and growth, expanse, planning and creativity. The liver houses the aspect of our spirit that never dies from one lifetime to the next—essentially, our reason for being, but also our “grand architect for our vision of the future.” If we connect with the natural rhythms of the changing seasons, our bodies and minds will thrive and we’ll feel our best. During the winter months, you will notice that your energy goes inward, giving you the opportunity to rest and reflect. 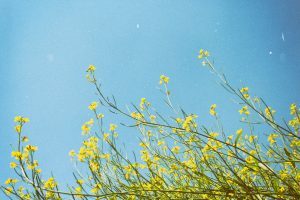 If you listened to this impulse and actually allowed yourself to rest and reflect and your liver energy is in balance, then you will be able to burst forth into spring with new energy and life force—just as the element of wood does with its new leaves and buds. You may feel empowered and energized to sweep away things that are cluttering your life, or adding toxins; those things that are blocking your liver or spirit from fully expressing itself. Spring is therefore a great time to detox the body physically and emotionally–for example, by quitting smoking or drinking, cleaning up your diet, or by starting to exercise again, clearing clutter from your home or beginning that creative project you’ve been putting off. 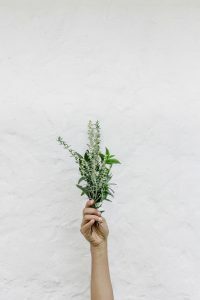 If your liver energy is out of balance, however, and you did not allow yourself to rest during the winter, or if you have been holding onto too many things that are thwarting your growth, you may find that transitioning into spring can bring on discomfort. As the emotion associated with the liver is anger, you may feel irritable, prone to emotional outbursts, indecisive, and intent on achieving something without really knowing why you want it, and feel out of touch with your personal needs and health. You may feel achy, depressed, lack mental clarity, feel lethargic or have trouble sleeping, particularly waking up between 1-3 am, according to the Chinese body clock. It is much more common than you may think for people to experience these “growing pains,” or feelings of thwarted energy when transitioning into spring–this is especially true for New Yorkers, who tend to hustle all through the winter when our energy should be going inward and we should be resting more; instead, we push through and by spring, our livers are struggling to keep up with the new, outward energetic flow of the season. If you are feeling any of these things, it may be time for you to seek out a Chinese medicine treatment to bring you and your liver back into balance–whether that be through acupuncture, herbal medicine or dietary changes. Below are a few simple and great ways to help you balance yourself and your liver this spring. Acupuncture: A licensed acupuncturist can read the unique energy of your body and diagnose your individual constitution and liver energy. By picking particular acupuncture points to focus on, they will help bring your liver/gallbladder back into balance and treat any symptoms of disharmony you may be experiencing. Liver imbalance-related symptoms include headaches, migraines, PMS, irritability, depression, stomach upset, insomnia, lack of mental clarity, procrastination, and indecisiveness. Chinese Herbal Medicine: Just as in acupuncture, in Chinese herbal medicine, there are particular herbal formulas created to aid the liver/gallbladder back into a state of balance and flow. A trained herbalist will come up with a formula that is tailored to your unique imbalance. For example, 10 people might have migraines due to an imbalanced liver, but in Chinese medicine, all 10 people will have different energetic imbalances which are causing the same symptoms. An herbalist can prescribe a Chinese herbal formula that is right for your unique body. Move your body: In Chinese medicine, the liver governs the tendons and the sinews of the body and is also in control of the smooth flow of qi (energy) that runs through our bodies. Spring is a great time to get moving. Start your day with a brisk walk, take the stairs instead of the elevator, stretch your body on a daily basis and get back into that exercise routine you may have stopped over the winter. Eat Your Bitter Greens: Each season has a color and flavor associated with it. In Chinese medicine, spring corresponds with the color green and the flavor sensation of bitterness. This time of year, eating good quality organic greens (spinach, kale etc), but especially bitter greens such as dandelion, arugula, mustard and, my personal favorites, escarole and radicchio, to name a few, will help to detox your liver. Create: The liver is the organ of creativity, making spring the ideal time to get that project going you’ve been putting off. Learn a new skill you’ve always wanted to learn (knitting, pottery or a musical instrument, painting, singing) and join with friends to collaborate! Following through with these life-affirming projects will help you come into harmony with your body, and thus, with nature. Screen Detox: Take it easy on your eyes this spring. The eyes are the sensory organ that connects with the liver. When we spend too much time on our phones and computers, this puts a strain on our livers and we may feel symptoms such as dry eyes, watery eyes, floaters in the vision–all signs that the liver needs a rest. Instead of scrolling through your phone before bed or watching TV, trade it in for a book or a relaxing bath. If you usually spend your lunch break online, get outdoors instead and take a walk sans phone, giving your eyes a little break as well. Dandy Blend: If you’ve been to my office for an acupuncture treatment, you may have heard me talk about dandy blend: my morning beverage and new obsession. It’s the most delicious herbal coffee (caffeine-free) I’ve found! I personally find it very close in flavor to actual coffee, but it has none of the liver stressors that coffee has. It’s made with dandelion root, a bitter herb that aids the liver in detoxification. You can pick some up right off the website! Or at my office. It can be empowering when you realize that your body’s energy is connected to the energy of the natural world, and that our bodies are indeed microcosms of the macrocosm. When you understand more about how your energy flows with the natural rhythm of the five seasons (yes, you read that right: five seasons! ), you can connect the dots with your own symptoms. For example, if you didn’t take care of yourself over the winter, that may be manifesting itself in ways such as lack of clarity, procrastination or headaches this spring. Once you start to understand the qualities of each season, you’ll be able to connect how you’re feeling to the changing energy of each season, from your mood to the foods you’re eating, to how much time you set aside for meditation the last few months, to that project that you worked tirelessly on and stayed up way too late perfecting, you’ll realize that there are things you can do to realign yourself: you are in charge of putting yourself in harmony with the world. So let spring inspire you to take control and find a deeper understanding of yourself and the natural world. And if you need a little help, schedule an appointment with an acupuncturist/herbalist: we can help guide you in the right direction! This entry was posted in Acupuncture, Chinese Medicine, Health & Wellness and tagged 5 elements, Acupuncture, allergies, balance, bitter greens, chinese herbal medicine, chinese medicine, clarity, dandy blend, depression, gallbladder, headaches, indecision, irritability, liver, migraines, movement, procrastination, seasons, spring, wood element.